With The Chemical Brothers, Daft Punk and Underworld all recently scoring soundtracks for films, I thought it’d be a good time to have a look at Spotify’s choice of electronic movie soundtracks. 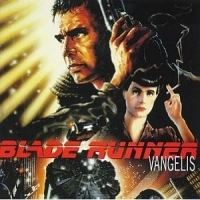 There are some great Various Artist electronic soundtracks (Blade, Run Lola Run, The Beach, Spawn) but for this Top 10 we’re concentrating on single artists with soundtrack albums you can listen to on Spotify. Read on for my Top 10 picks! 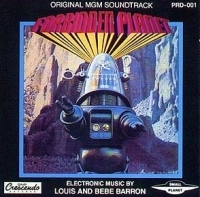 The first-ever fully electronic soundtrack was for sci-fi classic Forbidden Planet. A blueprint for the BBC Radiophonic Workshop, this is more sound-effect than music (in fact, the Barron’s are credited on the film with “Electronic Tonalities” rather than “Electronic Music.” This was mostly due to them not being members of the Musicians’ Union, but listening to the soundtrack on Spotify it does seem a more accurate description). Italian disco and electro pioneer Giorgio Moroder has a long history in both pop music and movie soundtracks. 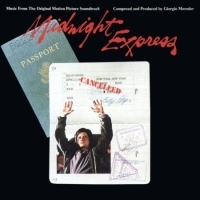 He won three Academy Awards for his original scores, my favorite of which is 1978’s Midnight Express. 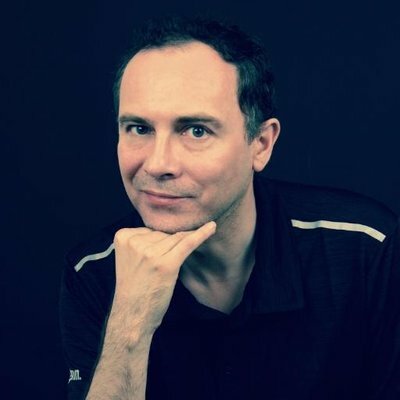 Title track Chase is a hi-NRG classic: it was released as a single and still sounds amazing over 30 years later (also check out last year’s batch of remixes). John Carpenter is a movie hero of mine, especially after I saw The Thing as a teenager. As well as a director, producer and writer, Carpenter also composed the soundtrack for most of his films. My favorite is probably the soundtrack to Assault on Precint 13 (as liberally copied for the old Amiga game Xenon II Megablast) but that’s not on Spotify yet. 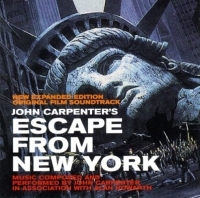 Halloween is though, with its instantly memorable and creepy theme, but I’d recommend Escape From New York: a brilliant analogue synth soundtrack from 1981, remastered and re-cut back in 2000 to add extra tracks and movie dialogue. German ambient electronic band Tangerine Dream have a staggeringly huge back catalog: over 100 albums! They’ve always been a bit too electro-jazz for my tastes (although I do like some of the solo work from ex band members Klaus Schulze and Christopher Franke), but in the electro circles I gravitate in Tangerine Dream are untouchable masters. With dozens of film soundtracks to their name, there’s lots to hear on Spotify. 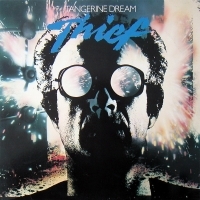 Since 1981 was such a great year for music, I’ve selected their soundtrack to Michael Mann’s Thief. 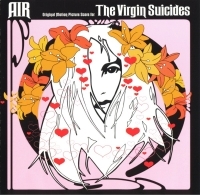 French band Air’s score for Sofia Coppola’s The Virgin Suicides followed on directly from their smash space-pop hit Moon Safari. I played that album to death when it came out, as well as their debut Premiers Symptomes. Although still primarily electronic, the Virign Suicides score includes several more traditional instruments such as drums and guitars. And despite being a movie score, this is still an Air album and works just as well without the visuals. 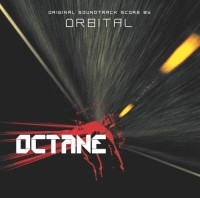 Following their 1997 soundtrack for the film Event Horizon, Orbital’s score for Octane takes the electronic dance masters into ambient territory. Fans of the band’s regular albums might be a little disappointed, as this is all atmosphere and Tangerine Dreaminess. I’ve not seen the film so don’t know how well the score fits the visuals, but on its own this album is a bit of challenge to listen to in one sitting (but check out Initiation for a bit of more-recognizable Orbitalisms). 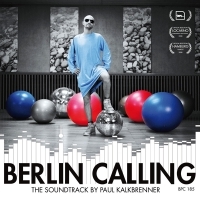 Paul Kaulkbrenner is a German DJ and musician who so impressed film maker Hannes Stöhr that he became the subject, the star, and the score composer for his 2008 film Berlin Calling. The soundtrack is mostly minimal and downbeat, although the single Sky and Sand is more upbeat and went gold in Belgium. If you’d have told me ten years ago that Nine Inch Nails (aka Trent Reznor) would win an Oscar for a film soundtrack, I would have thought you had a head like a hole. 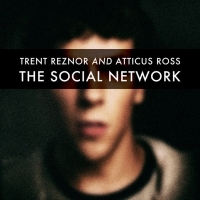 Scoring The Social Network with Atticus Ross, the sound varies from electro-ambient to a more dark electro-pop vibe. There’s even an echo of Nine Inch Nails in a few of the tracks (A Familiar Taste, for example). Next up is a Reznor score for David Fincher’s remake of The Girl with the Dragon Tattoo. 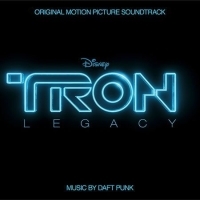 Surprising many with its combination of acoustics and electronics, Daft Punk’s soundtrack to TRON: Legacy is a worthy successor to Wendy Carlos’ original. With shades of 80s John Carpenter, Philip Glass, Jarre and Vangelis, Daft Punk’s score is a fabulous retro-futurist mix of tracks and my favorite soundtrack from last year. Pity about the film though. There are several electronic film soundtracks that would almost undoubtedly have made this list, however none of them is on Spotify. Gil Melle – The Andromeda Strain (1971) – Gil Melle’s soundtrack is generally regarded as the first ever electronic music score for a movie. Wendy Carlos – A Clockwork Orange (1971) – Wendy (then Walter) Carlos’ Moog-infused soundtrack to Kubrick’s A Clockwork Orange is a classic in every sense. Underworld – Sunshine (2007) – British electronic masters Underworld followed in Orbital’s footsteps to score this Danny Boyle SF film. Chemical Brothers – Hanna (2011) – Joe Wright’s new movie Hanna has a score by The Chemical Brothers. 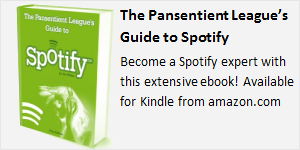 Let’s hope it comes to Spotify soon It’s now on Spotify!